Village Warszawa is proud to have been involved with the International Villages Festival since its beginning in 1974. The name of our village is derived from the capital city of Poland, Warsaw (Warszawa in Polish). The Villages is sponsored by The Polish Alliance of Canada, Brantford Branch 10. 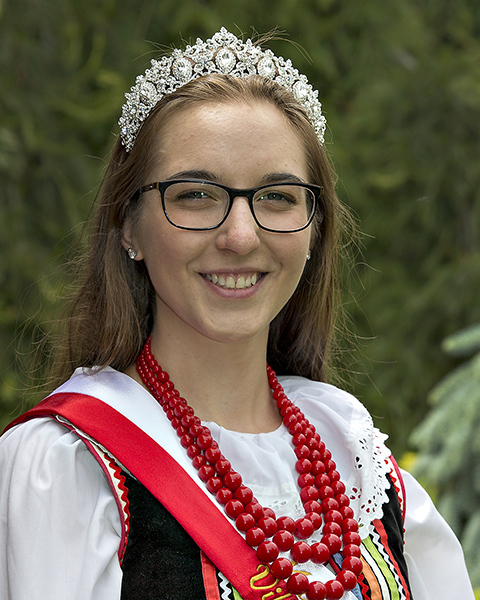 The Polish Alliance has been actively involved in the Brantford community since 1932. We look forward to celebrating the Annual Villages Festival with all our patrons. We invite you for a “Stop Over” on your International Villages Tour to enjoy our delicious Polish cuisine and share in our heritage. We will entertain you with colourful and dynamic Polish folk dances provided by guest performers and our own “Potok” and “Wisla” Dance Ensembles. All of our traditional food offerings are prepared in our own kitchen by the ladies of the Polish Alliance Ladies Circle. We are well known for our delicious pierogies! “Zapraszamy” – We invite you to share in our fun and hospitality. The Polish Alliance of Canada, Branch 10 has been actively involved in the Brantford Community since 1932. From 16 members we have grown to be an active organization with over 100 members. Our activities include a Ladies Circle, a Youth Group, Dance Groups, the Copernicus Polish School, a Credit Union, and a Soccer Club. We have taken part in the International Villages Festival since its beginning and once again we would like to invite you to be a part of our Polish heritage and experience our hospitality. Visit our Village Warszawa and sample some of our Polish cousine such as shish-ka-bobs, pierogies, cabbage rolls, sausage and meatballs prepared fresh daily by our Ladies Circle. Share in some of our history, cutlure and tradition by exploring a display of Polish arts and crafts. We will entertain you with colourful and dynamic Polish folk dances provided by guest performers and our own Potok Dance Ensemble. Featuring Nightly – –“Potok” Dance Ensemble, Wisla Dancers and Guest Performers“Cracovia”, London, Ont. and “Polonez”, Hamilton, Ont. 6:00 p.m., 7:15 p.m., 8:15 p.m., 9:15 p.m.
5:00 p.m., 6:15 p.m., 7:15 p.m., 8:15 p.m.
We apologize, but we are not wheelchair accessible.